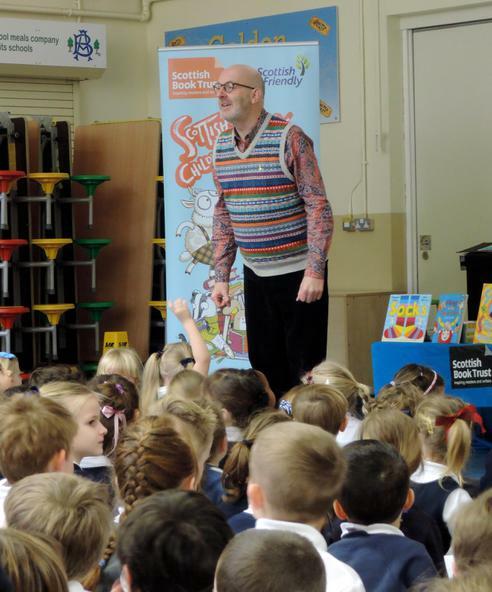 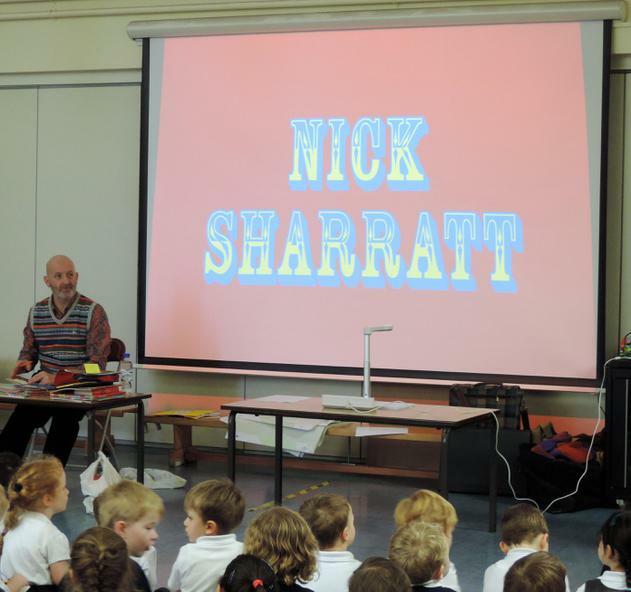 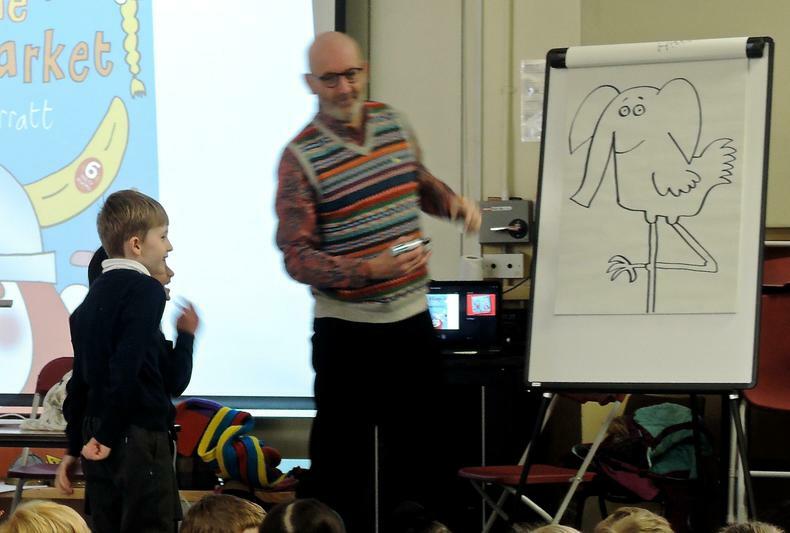 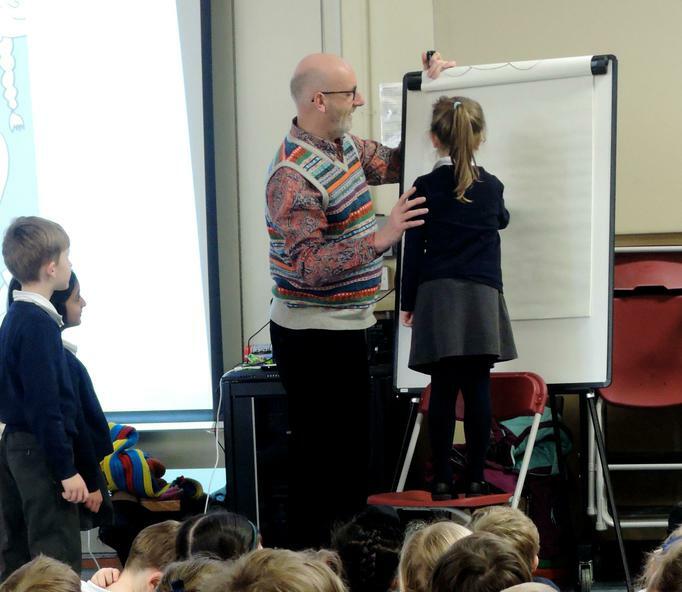 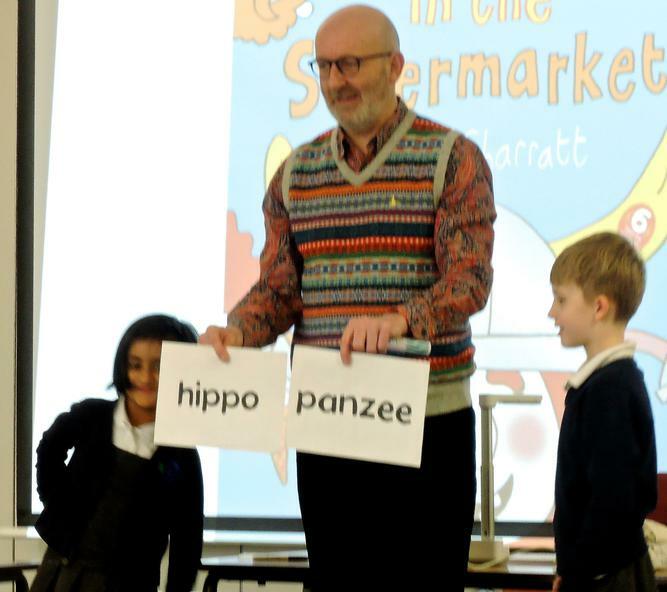 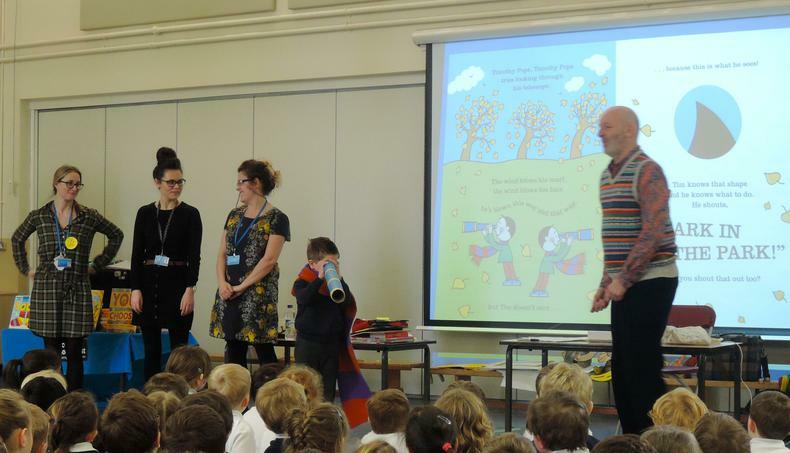 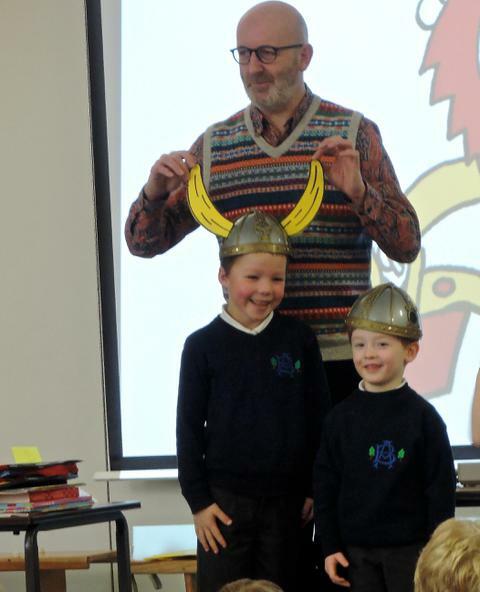 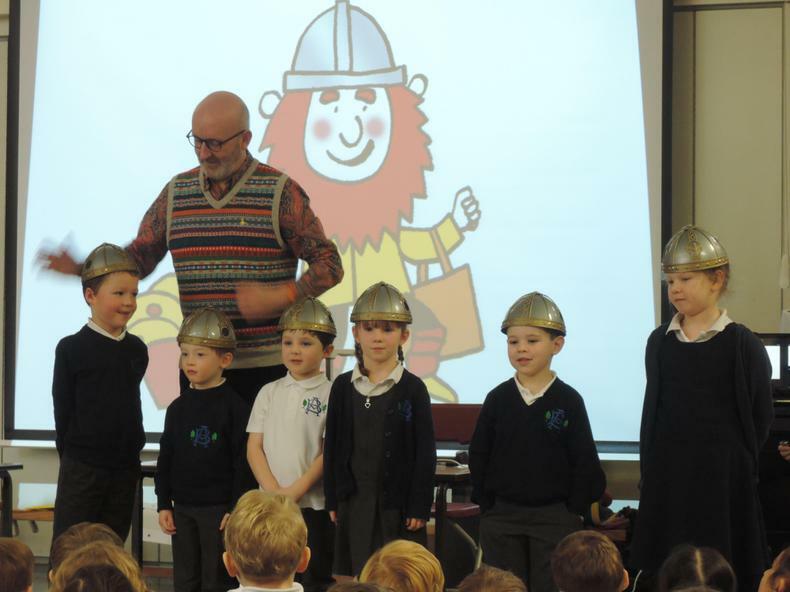 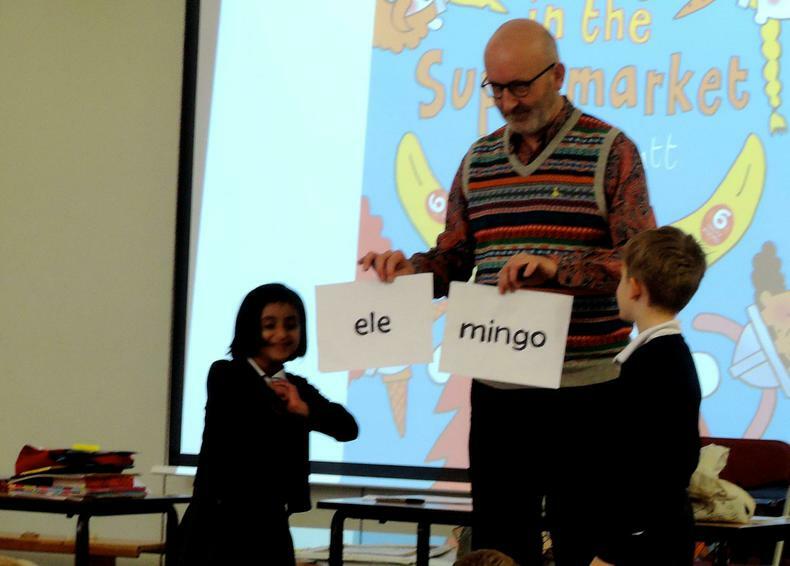 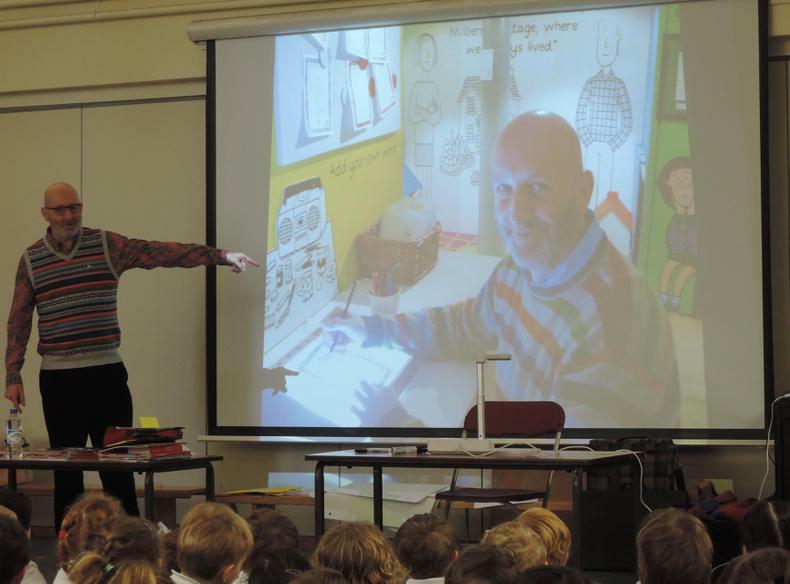 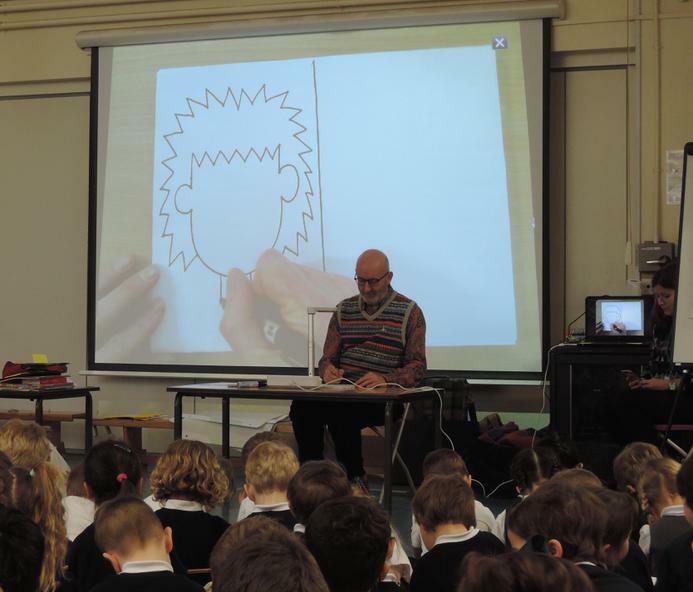 Author and illustrator, Nick Sharratt came to visit. 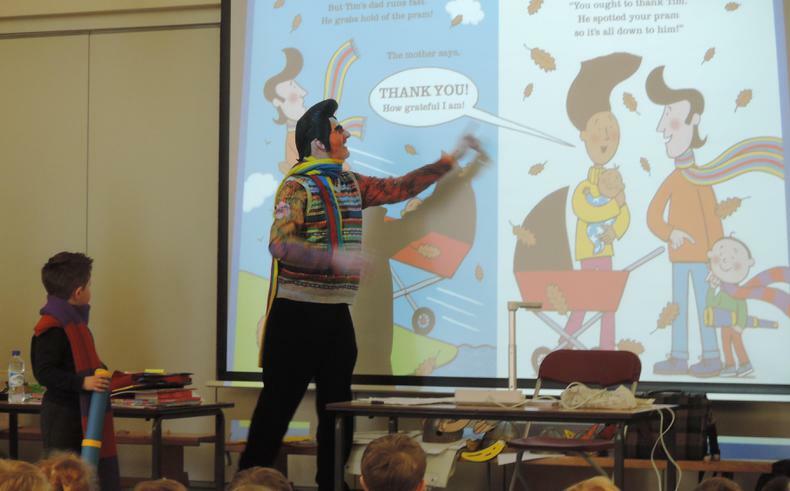 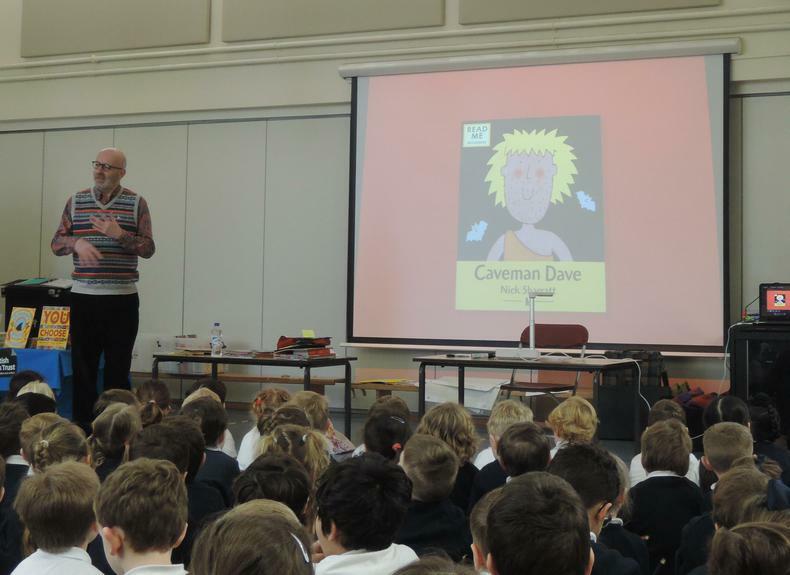 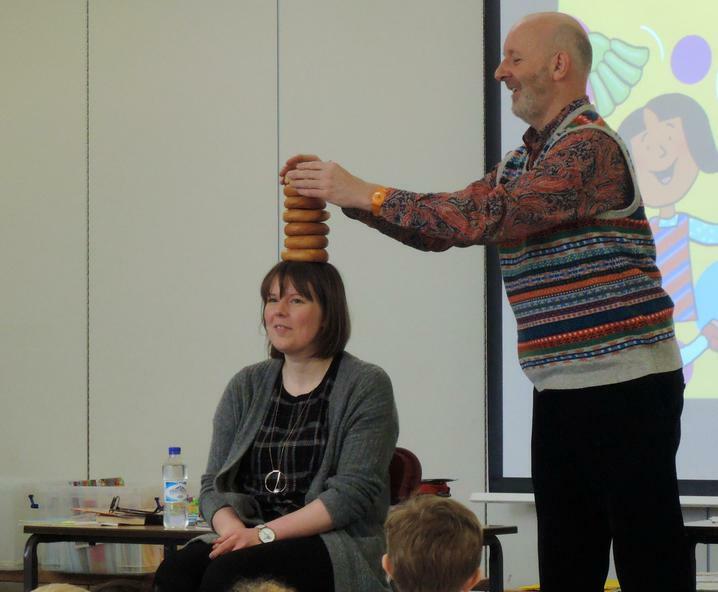 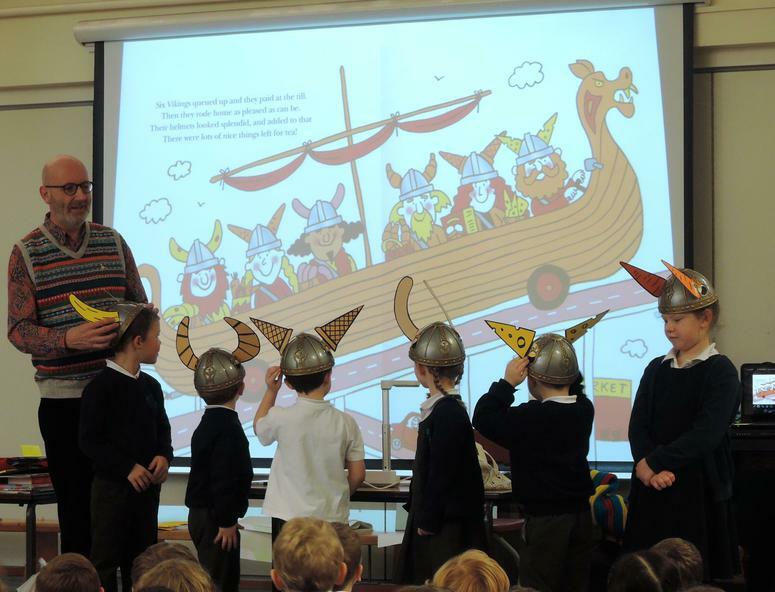 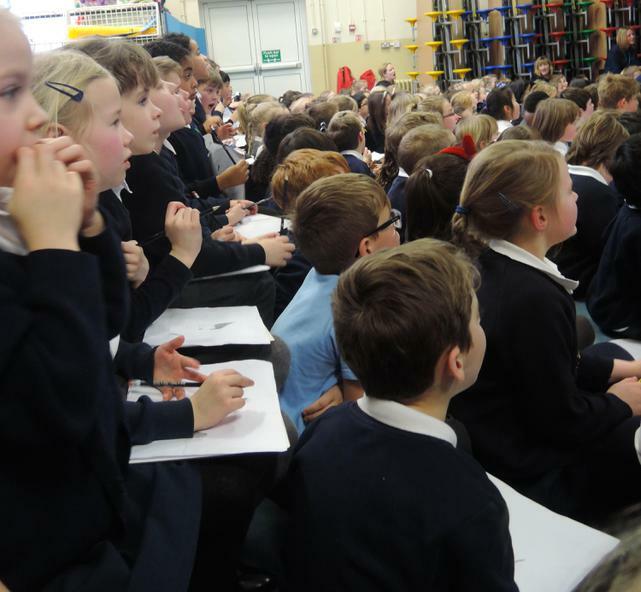 He read some of his stories, gave the children top tips on illustrating and even balanced bagels on teachers' heads. 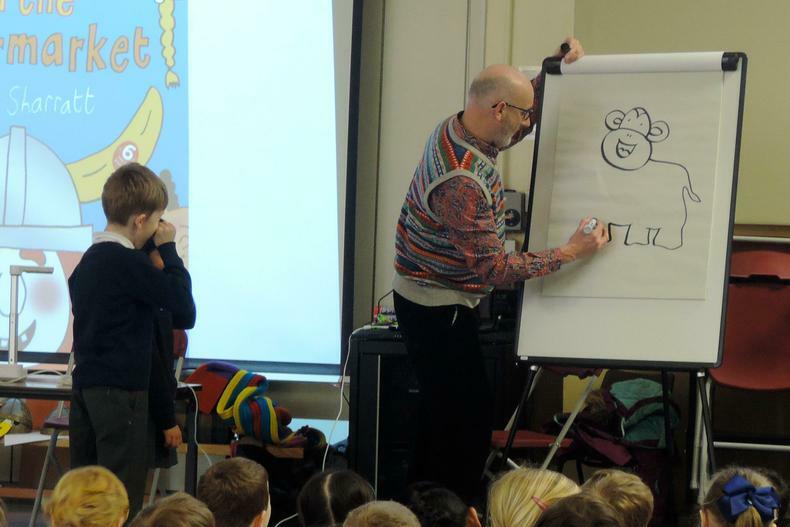 Just brilliant!